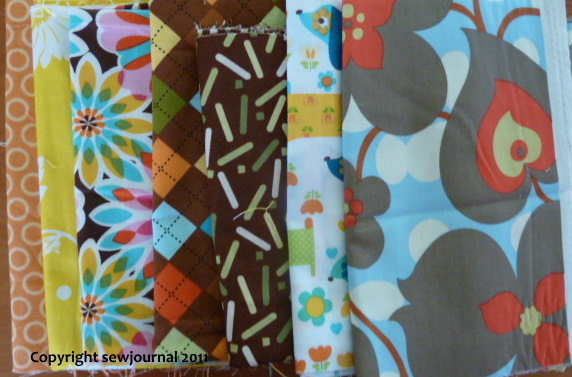 Hawthorne Threads have kindly offered one of their Scrap Packs as today’s prize. 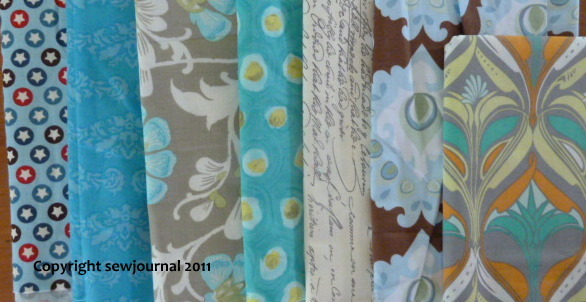 Each pack has 2 yards worth of fabric by weight which is about 12 ounces and will include an assortment of fabrics from those designers seen in their shop. You may remember I ordered a warm and a cool pack a while ago and this is what I received. All packs are different however. So the deal today is pick a number between 112 and 213. One entry per comment. To gain extra entries, if you have a blog then blog about this give-away with a link and make another comment with another number; Tweet about it with a link and make another comment with another number; comment about it on Facebook and make another comment with another number; or subscribe to the mailing list and make another comment with another number. I’ll pick 117… thanks for the chance! yay! 132! there are a lot of numbers that are taken already!